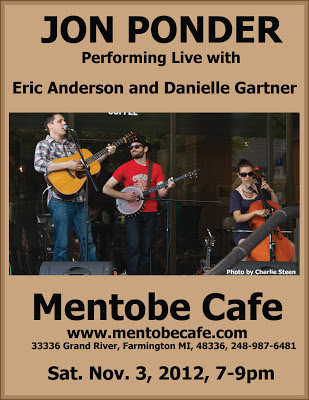 I just played 2 hours on a Saturday morning last week at Foggy Bottom Coffee House in Dexter, MI and it was a lot of fun. I'm going to try to play there again and maybe see if I can get regular sets there. 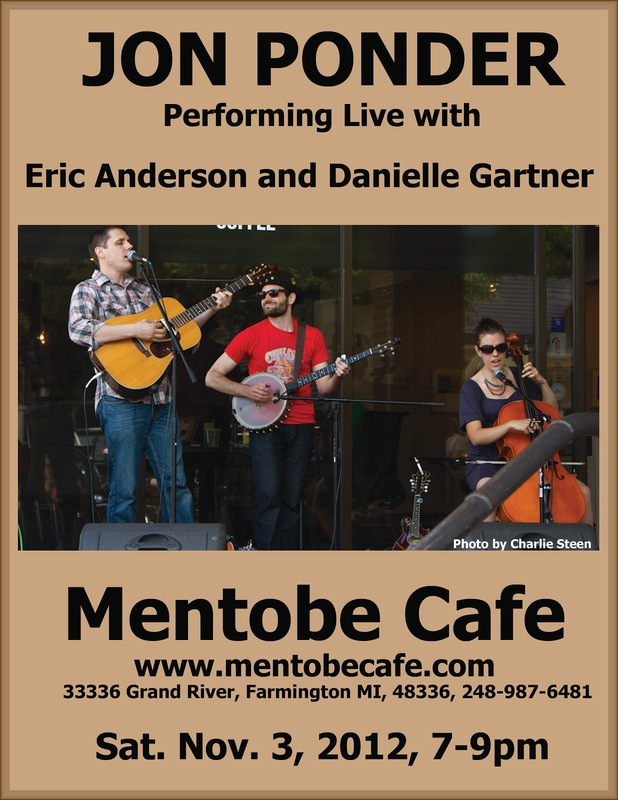 Coming up Nov. 3: I'm playing a 2 hour set at Mentobe Cafe in Farmington, MI with my friends Eric and Danielle backing me up on banjo, cello, mandolin and vocals. Should be fun! I'm also planning to get away to Toronto for a week in November and spend some focused time on songwriting. I'm really looking forward to it! I love Toronto and I love writing songs.